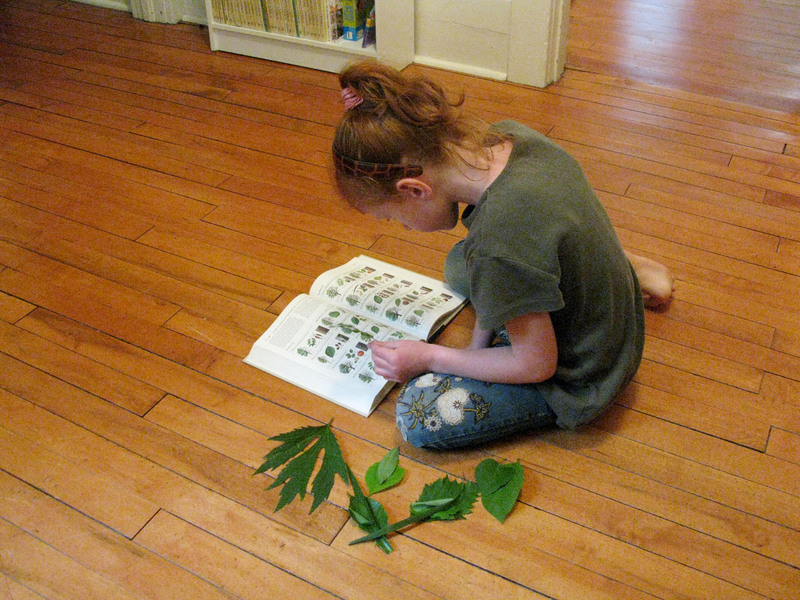 Leaf Identification | Live. Learn. Love. Eat. 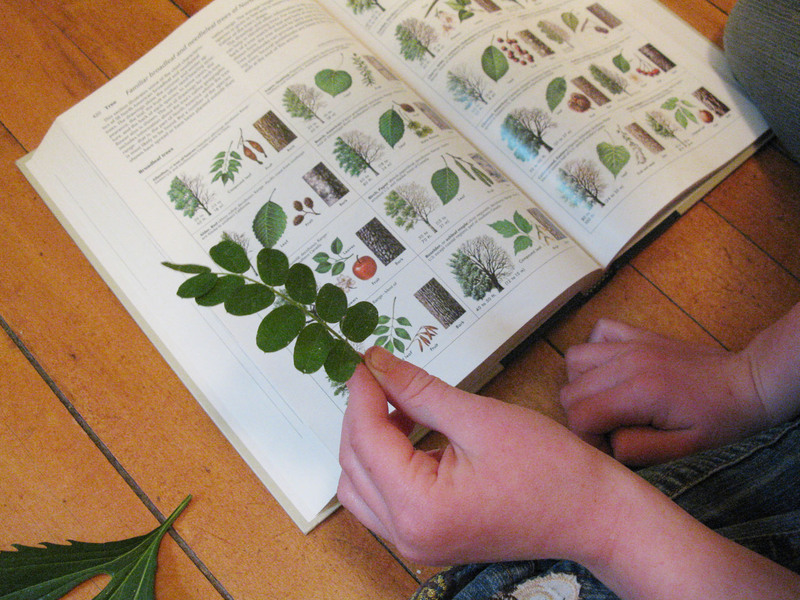 While out on our walks the girls are always so fascinated with all of the different trees and flowers so I thought that it would be nice to get out the encyclopedias and turn this into a learning experience. 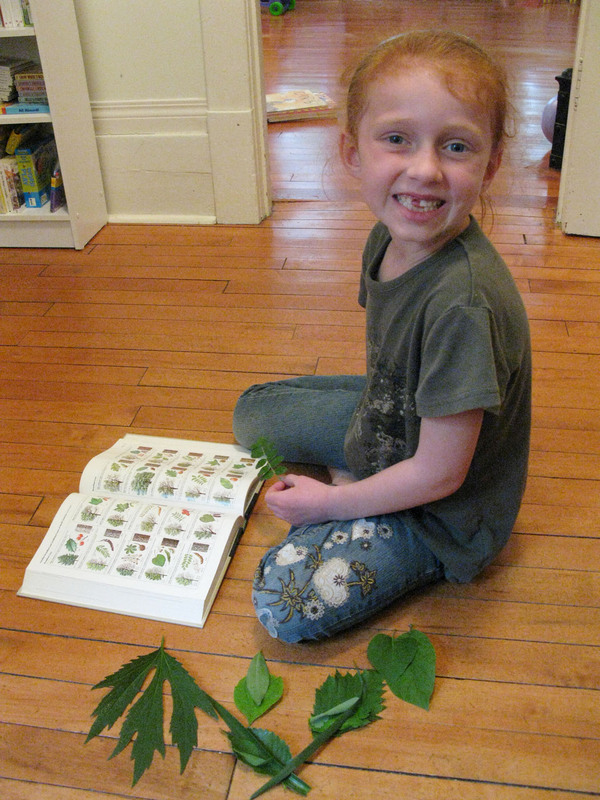 When we got home we got busy picking different leaves off of all the different trees and looked them up in the books to find out just what we have growing in our yard. We also looked up the different flowers that we often see. This was such a fun thing for both Autumn and I to do. I even learned a lot myself! The next day we went to the library and got out some more books on trees. I think it is so amazing what we are surrounded by everyday and that most of us don’t even know about the different flowers, trees and plants. This just reminds me that everyday holds so much opportunity to learn and that kids truly are natural learners. Anything can be a learning experience!